As my final senior design project, I wanted to address early child literacy issues with design. I created a program for my hometown library to assist them with outreach to local young children and their parents. Their problem specifically centers around engaging a largely low-income rural population. Once a child is engaged with the library, there are many positive experiences (storytimes, summer reading programs, and other activities) available that build literacy skills, so the initial draw to the library and making the experience memorable is key to making an impact. My idea to increase library attendance centers around a new and magical way for children to engage with the library, building on a natural love of imagination and storytelling and a small incentive approach popular in the summer reading program. 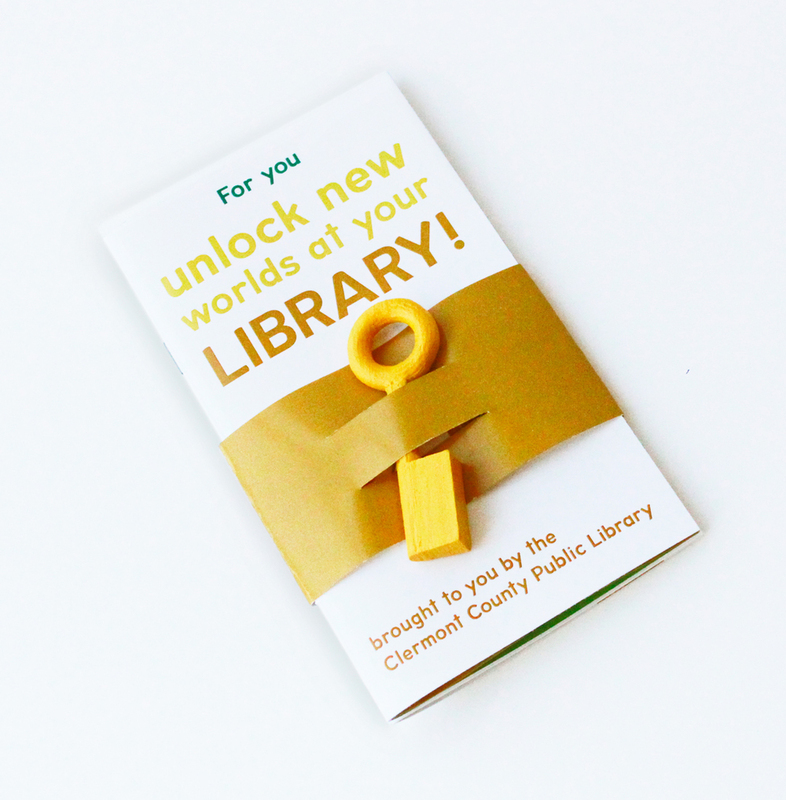 This is a year long program called Unlock New Worlds at Your Library, and it encourages participation with a variety of colorful characters called BooKeys. 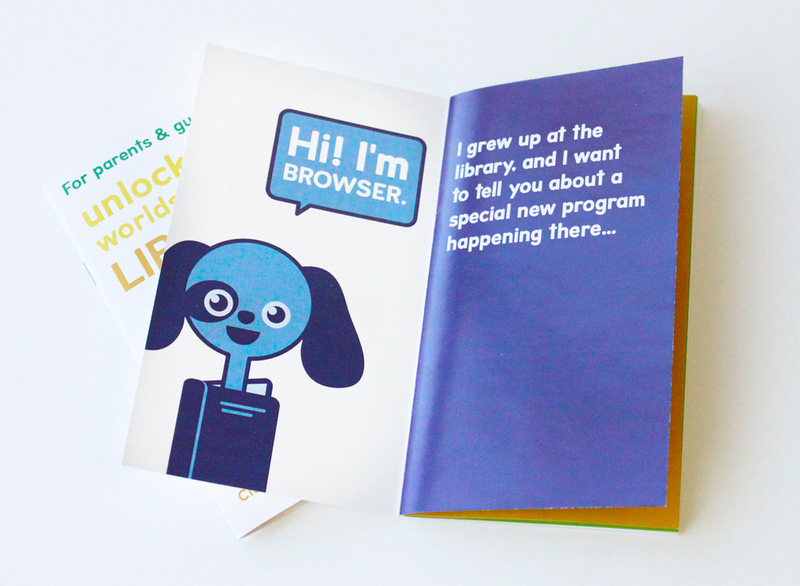 With the Unlock New Worlds program, each child receives a library key and key ring that they use to check out books. This key becomes a special object that is a delight and privilege for the child to use. When a child visits the library, they can earn a BooKey for their key ring by checking out books, attending storytimes and special events, or participating in summer reading. Through this simple reward system, children are motivated to visit regularly and participate in events. When checking out books, a special yellow book-shaped box is brought out, the child inserts their key, opens the box and chooses a BooKey tag. This is a special treat and an experience that will get them excited about visiting the library again. When every experience is exciting, it's more likely the child will develop a positive association with reading. To reach families that don't already visit the library, small packets are handed out at local schools and daycares. The library key is secured in a belly band, and inside are two booklets. One booklet introduces the program to the child and has a perforated guide showing all the BooKeys. The other, for the parent or guardian, discusses literacy and the five key practices to get a child ready to read. BooKeys also become part of the library experience through other distribution materials, signage, props and giveaways. For example, BooKey bookmarks use the “unlock...” phrasing to unlock fun things children understand. Below, the BooKeys appear as puppets in the play area, door decorations, and a seasonal book display.